James Preston Scott came to Collin County around 1852. His granddaughter, Mary C. Taylor, was the first burial in the cemetery in August of 1854. James Preston Scott was elected to the state legislature in 1857. He died of pneumonia in March of 1858. His stone bears the inscription "Member of the Legislature." Five of his children are also buried here. The cemetery was deeded by James W. Scott and J. B. Wilmeth in 1877 with the deeds listed in Vol. 7, p 61 and 62. The Bloomdale community was about one mile northeast of here. The cemetery is large, covering about 4 acres, and is currently in use. 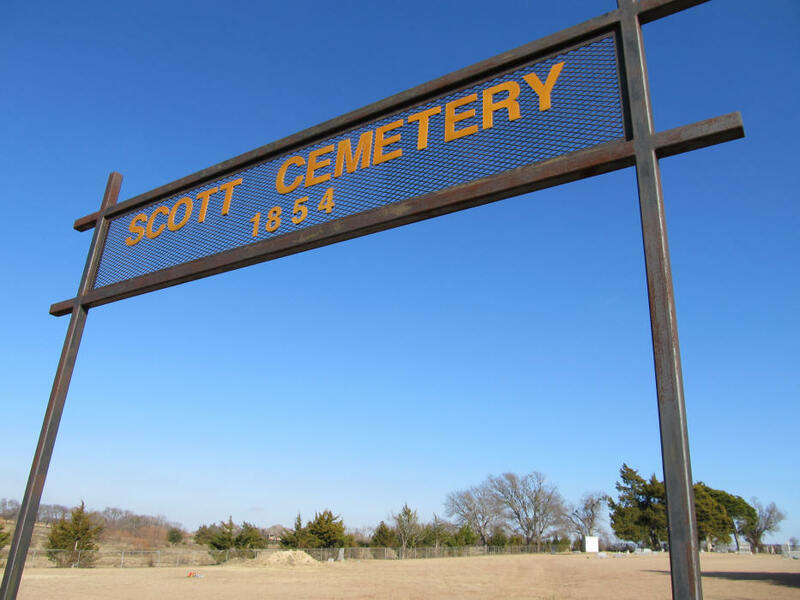 There is a small sign near the entrance saying, "Scott Cemetery." The cemetery is surrounded by a 4-foot chain-link fence. About half of it has been used. Most of the western half is unused. There are over 200 graves here, with several unmarked. A family area near the middle of the cemetery is fenced with an old wire fence. 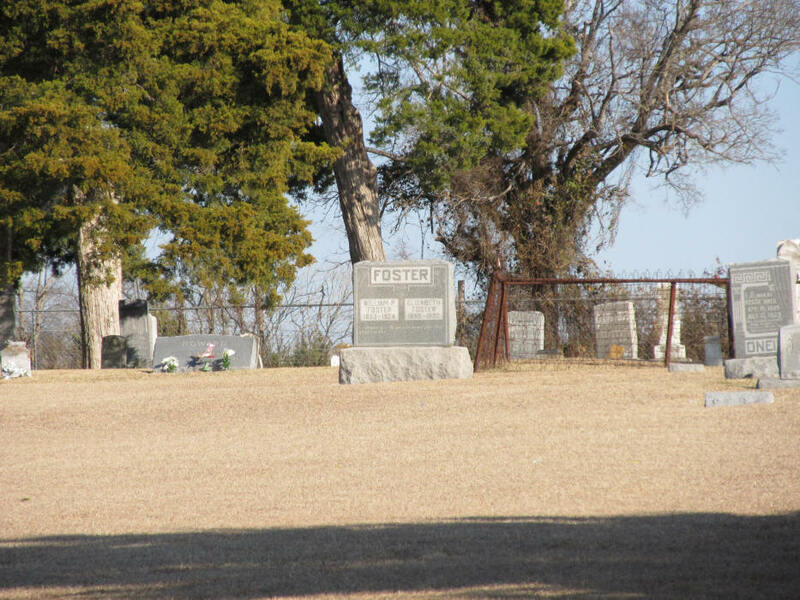 Two Scott family slaves are buried in the northwest corner. They stayed with the family after they were freed. There are very few trees. The cemetery is fairly well kept, although it could use a little stone work. Some of the old stones have been set in concrete. The cemetery has a historical marker. There is a cemetery association. An arch has been added to the entrance. In April of 1994 there was a dedication of crosses for Confederate soldiers buried here. WAS BURIED HERE IN 1858.